In the Age of Connectivity, it’s shockingly hard to get ahold of a new prospect. Picking up the phone doesn’t work – less than 3% of cold calls result in an appointment or a call back. Connecting through email is just as daunting. On average, businesspeople send and receive 121 emails per day. If you don’t get their attention immediately, you’ve lost your chance. In fact, it only takes 3 seconds to decide to click Delete. To get prospects to respond, you need to communicate from the beginning that you understand their situation, needs and challenges. That’s why it’s critical to know as much as possible about your prospect before you conduct outreach. Highly-targeted emails are 18x more effective than “broadcast” emails. Even personalizing the subject line makes a prospect 26% more likely to open an email. But how can you learn enough to create those custom messages before you reach out to a prospect? Take inspiration from the experts of covert information-gathering: the Federal Bureau of Investigations. To apprehend the most dangerous criminals, FBI agents dig through documents, connect with the suspect’s associates and discretely observe their target’s movements. Called Human-Source intelligence (HUMINT), this tactic is the art of gathering information from human sources (often without alerting a suspect that they’re under investigation). Good social sellers perform their own Human-Source intelligence process to find out what’s important to a prospect before engaging. Over ¾ of users take advantage of LinkedIn to do initial research of people and companies. That’s an excellent first reconnaissance step. But that only tells you the basics. Thinking like an FBI agent opens up new possibilities. Be poised to know when prospects change jobs, make new connections or join new groups. A job change could mean that they have new responsibilities, projects or budgets to spend. If they make new connections with your competitors, they might be on the verge of making a purchase. Joining a new group (or ramping up participation in an old one) might mean that they’re seeking information for a new initiative. If you want to dive into what makes your prospects tick, look at their paper trail. This doesn’t mean actually digging through their trash, it means paying attention to what they leave behind online. Today, the average prospect is 57% of their way through the decision-making process before they talk to salespeople. Before that, they conduct research on their own and ask peers for advice. LinkedIn users reveal what’s on their mind when they post status updates, share articles and participate in group discussions. If you pay attention to the content they post, you’ll know when to reach out as a resource at the beginning of their decision-making cycle. FBI agents are excellent networkers. Infiltrating the inner circle of a crime network doesn’t just happen - it requires a trusted associate to provide a reference. 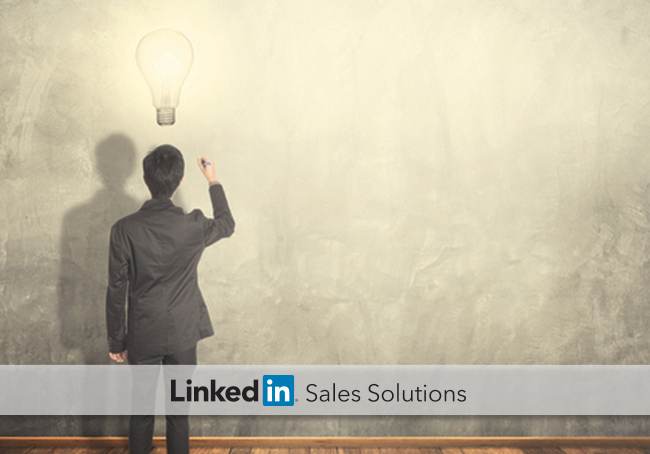 The sellers getting the most business through LinkedIn are introduced to prospects by their connections twice as much as other users. Even without a referral, sellers are able to set-up appointments 50% of the time when they have a 2nd degree connection with a prospect. Use TeamLink to see if your prospect is connected to anyone at your company. Browse through your current customers to find prospects. Over 63% of them leave their connections visible to their network. Ask a colleague or a customer to connect you with a prospect. 83% of happy customers are willing to make referrals. They just need to be asked. A good FBI agent stays out of sight when they’re learning about a criminal - unless they see that something’s about to happen. Then it’s time to act. LinkedIn gives sellers an early warning system through the ability to see who views their profile. This is a powerful tool because it tells you which prospects want to learn more about you. They may be working off a referral from a colleague, or been impressed by a great blog post or comment in a LinkedIn group. The important thing is that they’re seeking out information about you, which means they’re in an active research phase. Connecting with them early-on gives you the opportunity to be involved from the beginning. Whether you’re in the FBI or in sales, it’s important to know as much as possible about your target. By using Human-Source intelligence gathering through LinkedIn, you’ll learn what matters to your prospects and how best to connect with them.